Lowdown: The USA is fighting a war that's kept deliberately hidden from the public. Dirty Wars is a documentary that made enough headlines to both win an Academy Award nomination and get me to watch it. Its premises are simple: the USA is fighting a war that the public does not know about. 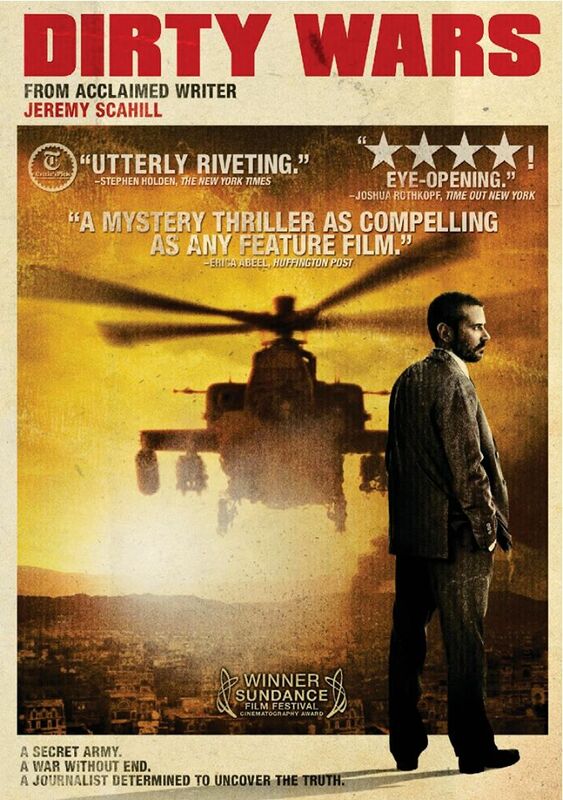 The story is told from the mouth of the investigative reporter narrating this documentary, Jeremy Scahill. Indeed, even though the filmmakers know exactly what they want to tell us, we follow Scahill's chronological journey and learn things as this investigative journalist exposes them. Essentially, starting off from some mysterious shooting incidents in Afghanistan we sale through what turns out to be a war fought out of the public's view by an American military organisation reporting directly to President Obama. The key point? By waging war out of the public's sight, the public loses its ability for oversight. Thereby we are unable to determine whether this is a war that can be won, or whether fighting this war is beneficial to the public in the first place. Scahill is raising the same argument raised with regards to the Israeli Shin Bet and its war against Palestinians, as discussed in the documentary The Gatekeepers: that by continuing to wage this war, we are only making it harder for us to resolve the actual conflict; yet by keeping the conflict out of the social debate, we are not allowing any option other than the ongoing fighting to have its go. Clearly, Dirty Wars' message is important. We should not find ourselves surprised about us fighting a war; going to war is one of the most important decisions to be made, and therefore it should be debated and brought to the public's attention. Yet I have to say that as important as the message is, I did not particularly like Dirty Wars; I think it fails some basic documentary rules. First there is the matter of accuracy, or at least perceived accuracy. One needs to trust a documentary with the facts if one is to accept its messages, yet Dirty Wars seems to deliberately confuse things and argue that the USA got itself embroiled in Iraq before it did in Afghanistan. Wrong; Afghanistan came shortly after September 11, with Iraq joining in later. Then there is this whole style of storytelling, where we learn things slowly instead of being told what's going on much faster and discussing what we learned the rest of the time. Thus Dirty Wars can be annoyingly slow, delving into the sleep inducing/boring realm way too much as it "discovers". Coupled with an annoying music soundtrack, this is not a pleasure to watch masterpiece. Overall: Should I score Dirty Wars by the importance of its scoop or by its cinematic failings? I'll go half way. I'm giving it 3 out of 5 crabs.